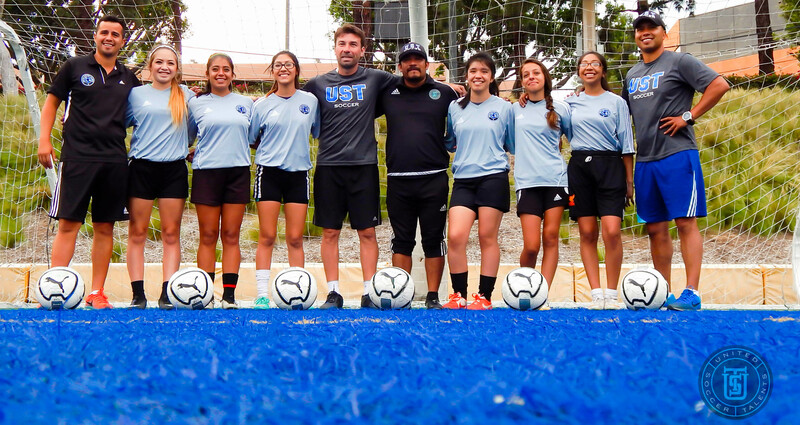 Here in UST-Foundation, it is very important for us to teach high-quality soccer training; since we have confirmed that if there is not motivation to learn new techniques and challenges to be reached, the young men and women lose interest very quickly. Through the many years of experience in professional and amateur soccer, we know for a fact that the most important thing for a player to become better each time he trains is to work based upon a game system. 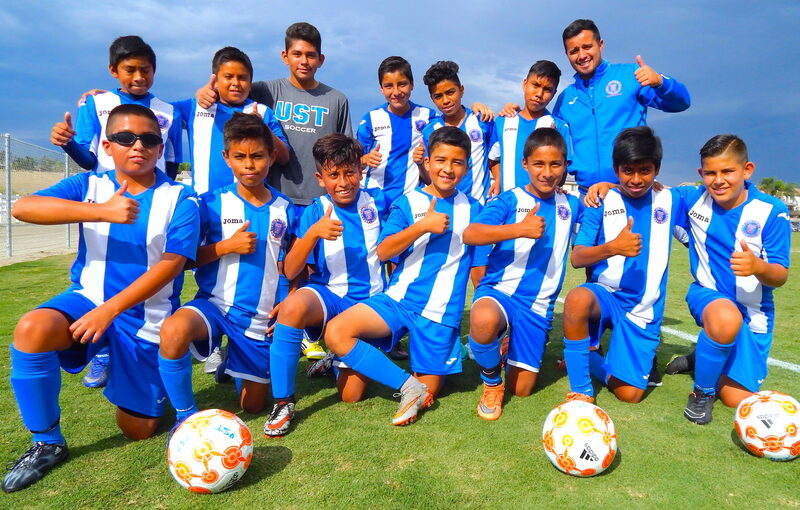 In UST we have created a training and game techniques based upon those used in South American, North American, and European Soccer teams, so that each practice will be entertaining but with a higher demand level. We give our best to make young people better players and great people every day. 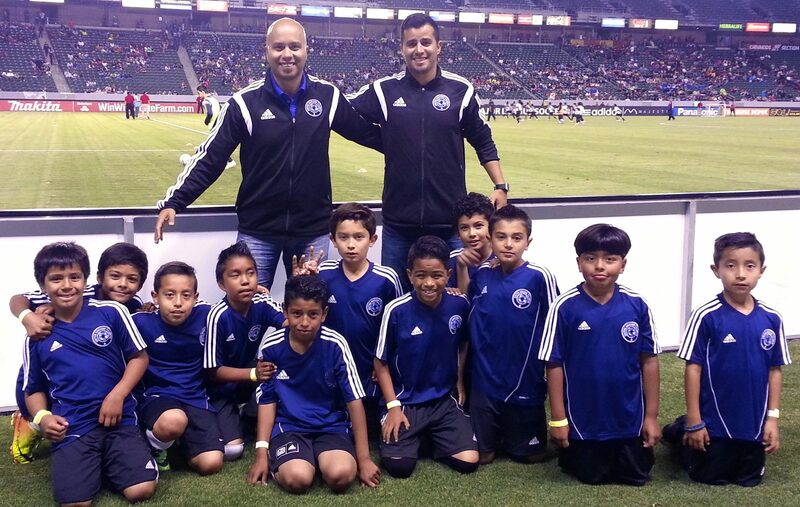 SOCCER  PROGRAM AGES 7 & 8. This age stage is very important in our kid’s development so that they can become people with good values and athletes of great quality. 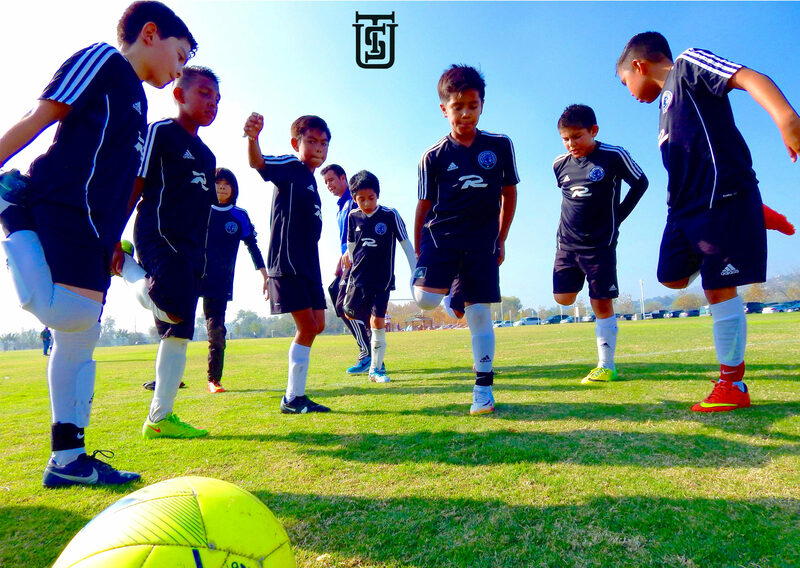 Our program consists of teaching them while having fun, but at the same time, they understand that soccer has formations and strategies that must be learned, in order to improve their game skills. Based on a lot of patience, they accept the new indications and apply them bit by bit into their practices. From the youngest team to the oldest, they are all thought the same game system, so that as they grow and go up in the next team-level, It makes it easier for them to carry it out and improve. By this age, our youth assimilates almost completely in our training system. They begin to learn to see that soccer it’s not just a simple game, but rather a sport. The group begins to become more united and organized. The Training is better as the youth become more aware of what they need to do inside the field. It is now them who ask their parents not to miss a single game, and to be there every time for their practices. At UST-Foundation we have learned that The Respect, The Education, and The Affection for each individual is vital to the success of the program. By the age of 12 years old, kids begin to comprehend life situations a lot better, they also have more control over their own consistency and energy. They are intrigued by learning and improving their newly learned techniques. Therefore, their abilities in the field are increased each day, the game system becomes part of them, and playing as a Team becomes very natural and at ease. This age is very important for each player since this marks their development in their future if we maintain them on the right track, all of them will see life problems as challenges and not problems. At this age, our players begin to realize that their childhood world is staying behind, and starting to become much more interested in the adult world. The people they love and admire are their guides and role models to follow. We go ahead and explain to them that how fast they mature their character, it will become much easier for them to achieve their objectives. By this stage of training, the training begins to transform itself from entertaining to formative. Youth are thought to have higher levels of concentration and commitment. At UST-Foundation, we know how complex and delicate it can be for each player to go through the changes of going from adolescent to young adult life. This is why we focus our attention on not letting their problems or bad things that life may throw their way, to affect or make them give up on their dreams. This is the most important age in the career of a player since this is where they must show how much they have learned in and out of the field up to this point. Players are asked for unity, discipline, additional training, leadership, teamwork, and the mutual respect as the base of the team. At UST-Foundation, we know that soon they must demonstrate a high-level of performance and an exemplary behavior in front of the eyes of the viewers and trainers. All this is done in order for them to gain a scholarship in the collegiate or a signed contract in a professional team. Our Mission is to give them the right tools to enable them to maximize their talent and prepare them for the future. We advise them that gratitude to every person that helps them in their road is a great essential value in life, which leads to success. It is at this point where in reality, believing in them makes a great difference! By 17 and 18 years of age, players at UST-Foundation have attained a learning process with values, which have shaped them to be talented, socially responsible, hard-working, and with a heart of gold. They are Winners already just for the simple fact of having a healthy body and mind. 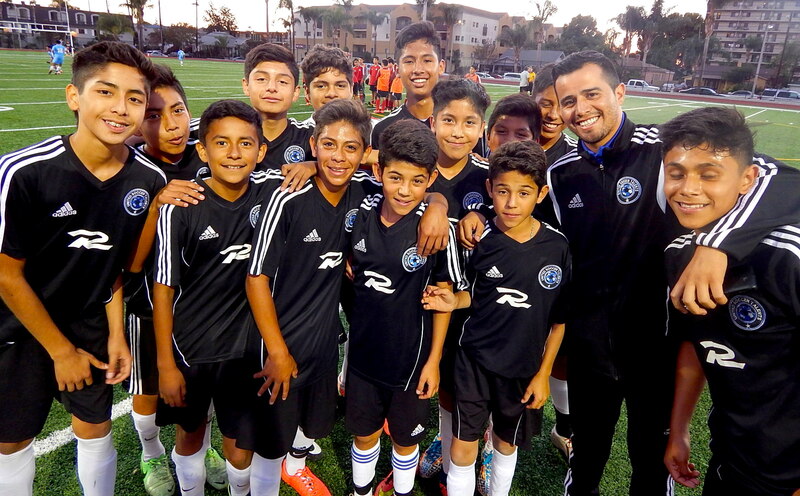 They compete in the best soccer leagues in California, and they are at the highest level of their soccer training. Thanks to their hard work, dedication, and their domain of the game. 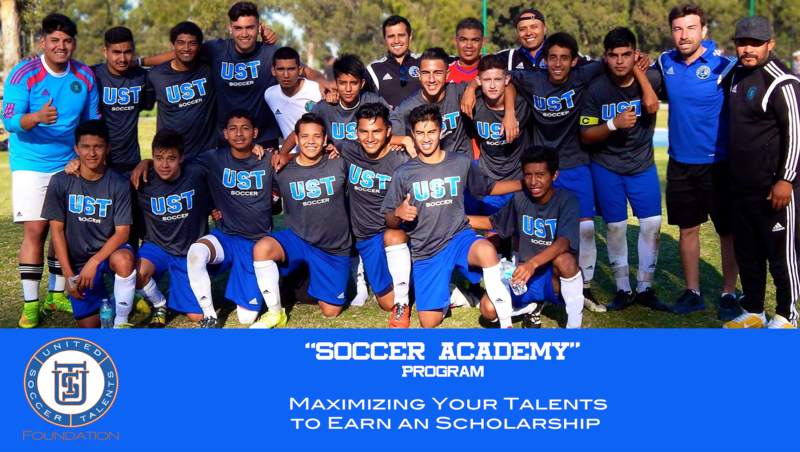 Doors begin to open up for them in order to obtain academic scholarships and private invitation try-outs with professional soccer teams from various parts of the world. At UST-Foundation, we believe in them from the very first day they begin to train, until the very last day of formation. It is a great honor for us to see them succeed and develop to productive and successful young men and women. The door at UST-Foundation is always open for those whom can always return with more experience and be able to guide the new generations to come.